Battery Backup Power, Inc. 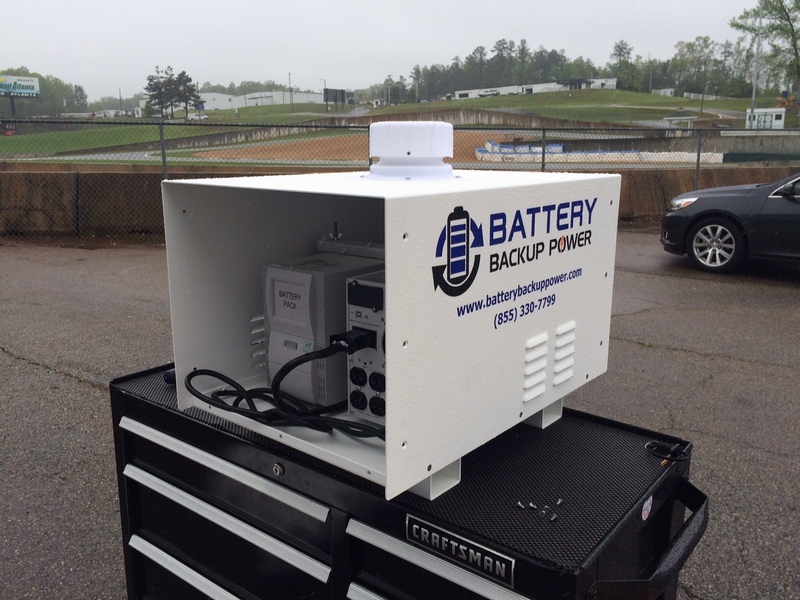 Custom Backup Solution For MotoAmerica – Battery Backup Power, Inc. Battery Backup Power, Inc. provides custom backup solutions for almost any need. If we don’t have something already made to fit a need, we will get to work on designing, building, and testing a complete solution. 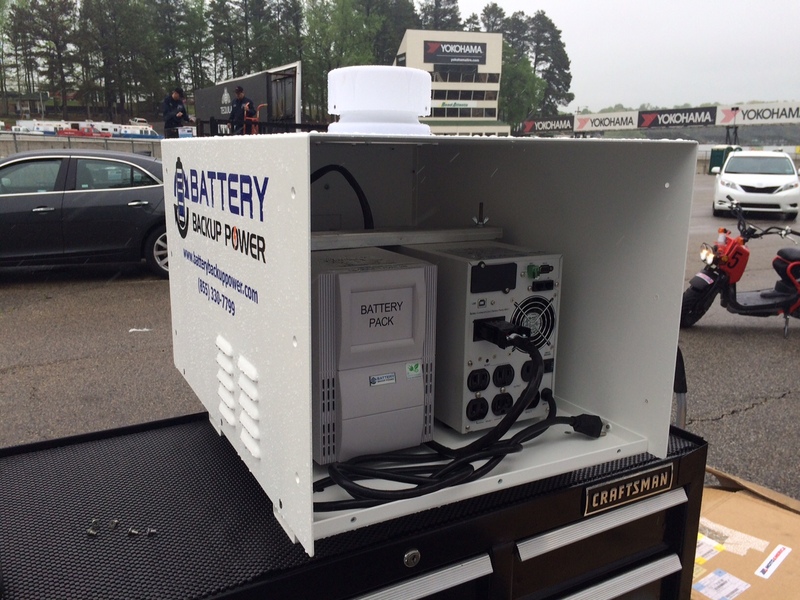 In this case, MotoAmerica needed outdoor ventilated battery power for its race track sensors and associated equipment. We put our 1,500 VA online (double conversion) uninterruptible power supply with an extra external battery pack in a weatherproof ventilated enclosure. The fan is solar powered to avoid drawing down power. Three of these units could be seen at any of the 2015 MotoAmerica races. For help finding the right backup solution or if you need something custom made, give us a call at (855) 330-7799 or send us an email at engineering@batterybackuppower.com.